How to price a handmade quilt – a near impossible task! 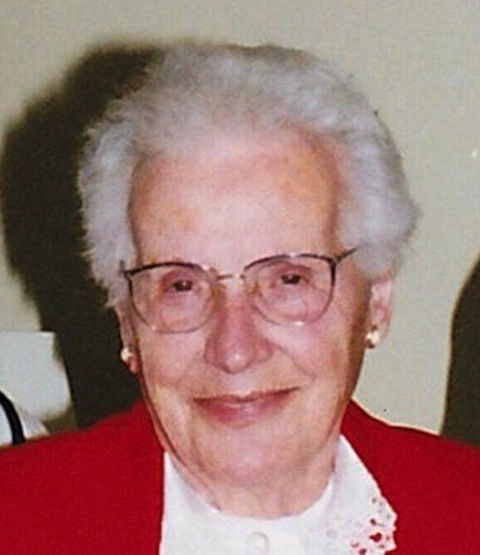 My grandma, for more than 30 years, created amazing and beautiful quilts. But for a few, she gave them all away. When asked (and she was often asked) why she didn’t sell her lovely quilts, her answer was always the same. She said she could never get a price equivalent to the amount of time and materials she put into a quilt. If you have been following our blog, you know that this “Are quilts art?” debate just gets our hackles up and lately, we’ve seen some strange behavior. Two weeks ago, someone offered $250 for a $1,200 quilt. Last week, someone asked for a 50% reduction on an infant quilt. Today, someone offered $75 for a quilt. Is it possible folks just don’t understand what it really takes to make a quilt? Do buyers look at this art form as nothing more than a hobby for Granny? Or simply as low valued “women’s” art or worse, a “hobby?” We accepted the challenge and set out to quantify what it really takes to make and just how to price a handmade quilt. 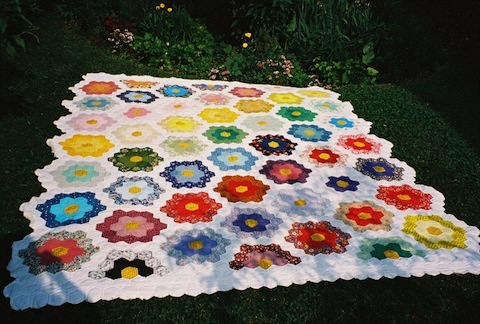 The Flower Garden quilt Grandma Louise made for each of her grandchildren. First we have fabric. Depending upon the size of a quilt, 6 to 9 yards of fabric is required. Even if the artist is supplementing with scrap fabric, someone still had to (at some time) buy that fabric. A quilt also needs a sturdy batting, and, thread for sewing and quilting. A median price per yard for quilt grade fabric is $11.00. Thread is approximately $5 per spool and if the artist is hand quilting, 2 spools are required. Quilt bats range from $15.00 to $35.00 depending upon size and material. Let’s not forget the time and gas it takes to travel all over the county to gather up these supplies. Next we have time. A quilter has to cut out and assemble the quilt top, then sew those many tiny pieces together to create the quilt’s top. If you’re like me (a very average quilter) this can take 10 to 12 hours. If you’re hand quilting, the entire quilt top must be marked (add 3 to 4 more hours). Then the quilt back, the batting and the quilt top must be assembled and secured (basted, pinned or mounted on a quilt rack). This takes a few more hours. So, before the quilting even starts, the artist invests 15 to 18 hours in preparation alone. Hand quilting, depending upon the size and intricacy of the patterns, can take up to 80 hours. Handing binding? Add another hour. We can’t forget equipment . . . . needles, thimbles, scissors, rulers, rotary cutters, tables, sewing machines, tape, marking pencils, pattern stencils . . . . . if the artist is a machine quilter, a long arm machine can cost upwards of $10,000. 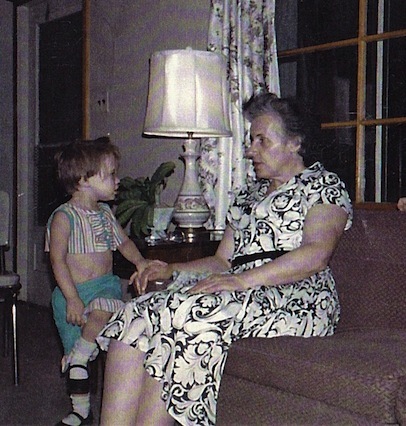 A very long time before quilting lessons began! Now that we’ve found ourselves to be in the business of quilts, we are often considering just how to price a handmade quilt? There is an enormous disparity between expected and actual pricing and we hope that this post raises a bit of awareness about the art of quilting – and the resulting prices of handmade quilts. Think of it this way: Not everyone can have a Matisse hanging in their living room but we all certainly can have a hand made, hand quilted, one of a kind quilt in our homes.